Favorites from 2004: Wisconsin, Utah, and D.C. While I have several previous pages of favorite photos, many of my "real" favorites were just taken this year and were published here for the first time. Most of these I like enough that I have made 11 x 14 enlargements of them and mounted them in my home. Also see page 1, page 2, page 3, page 4, of my favorite photos, my favorite photos from 2005, and my favorites from 2006, and so on. In addition, I have a lot more photos from the Appleton area, which are linked from my Appleton, Wisconsin page. 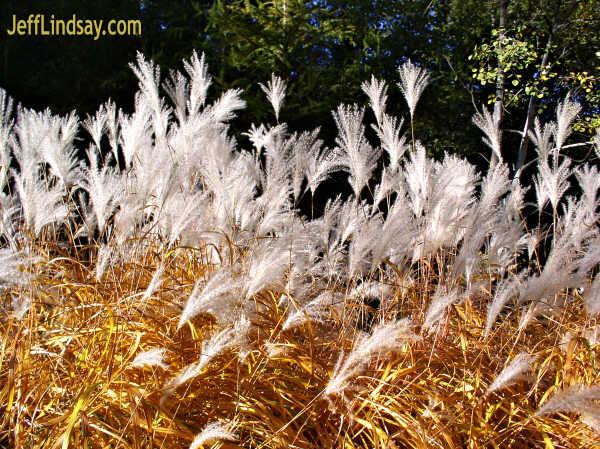 Some tall grass on a street about a mile north of Plamann Park, Oct. 2004. Another view of the same cluster of grass shown in the previous photo. 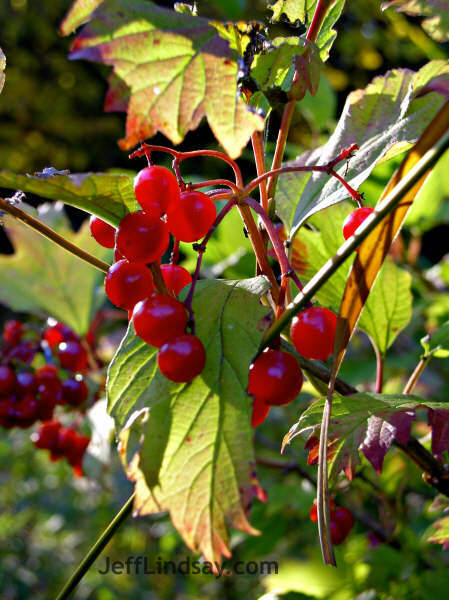 Some berries that were growing right next to the clump of grass photographed above. 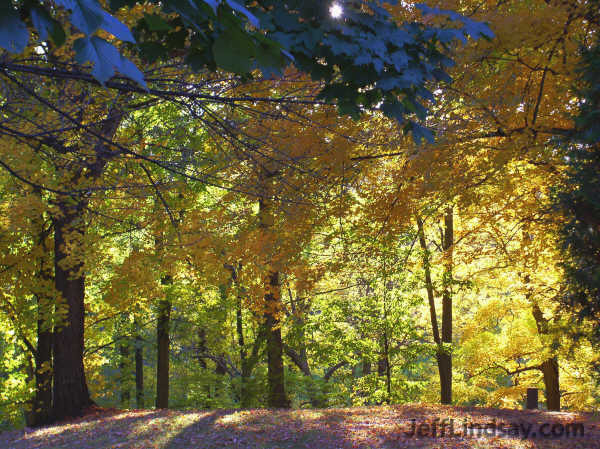 A scene at Plamann Park, just north of Appleton, Oct. 2004. 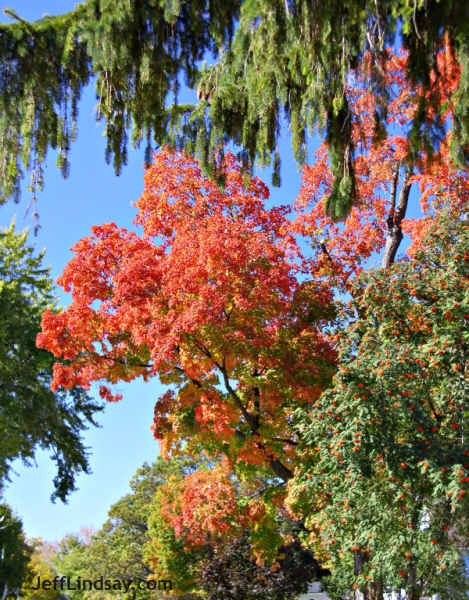 A colorful scene from a street in Kaukauna, Oct. 2004. 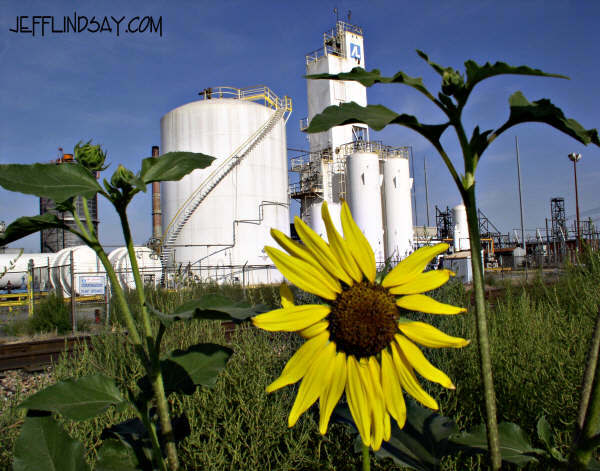 A sunflower in front of an industrial setting by Geneva Steel, north of Provo, Utah. August, 2004. 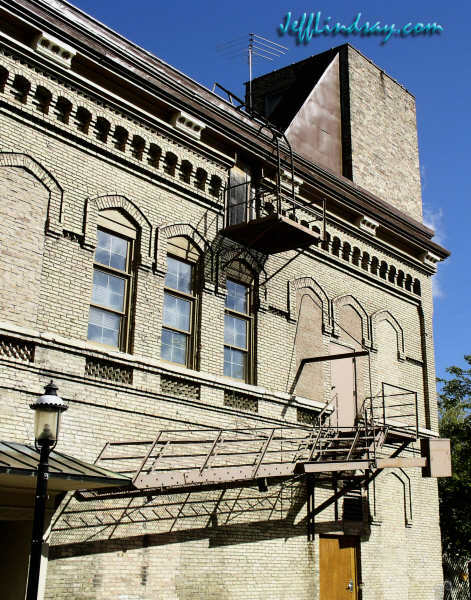 A building in downtown Appleton, taken Sept. 2004. 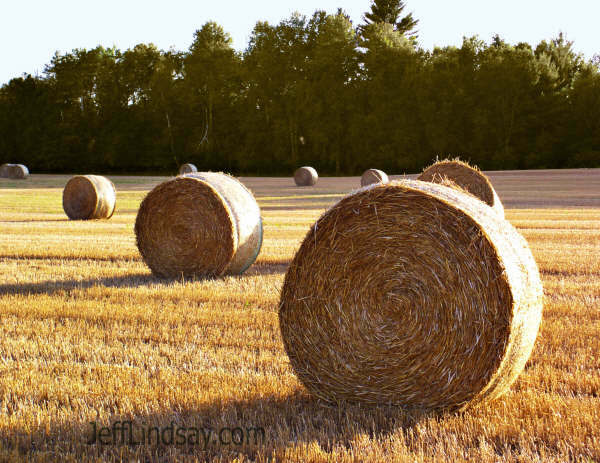 Some rolls of hay just south of Mountain, Wisconsin, taken Aug. 2004 after picking up my son from Mountain's Boy Scout Camp. 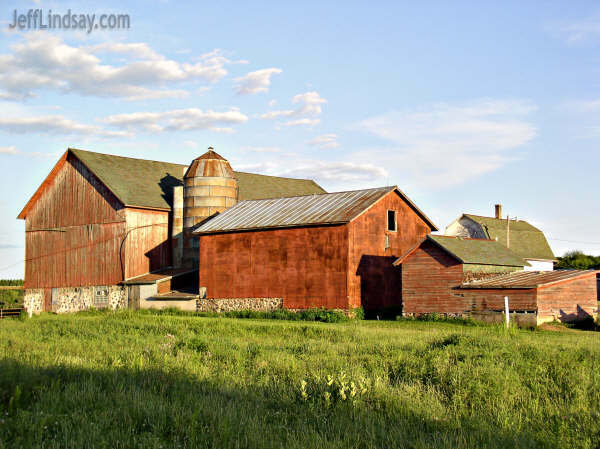 Just a few hundred yards before we saw the hay above, we stopped to photograph this barn. The 11 x 14 enlargement from Phopar is one of my favorites on the wall of our family room. 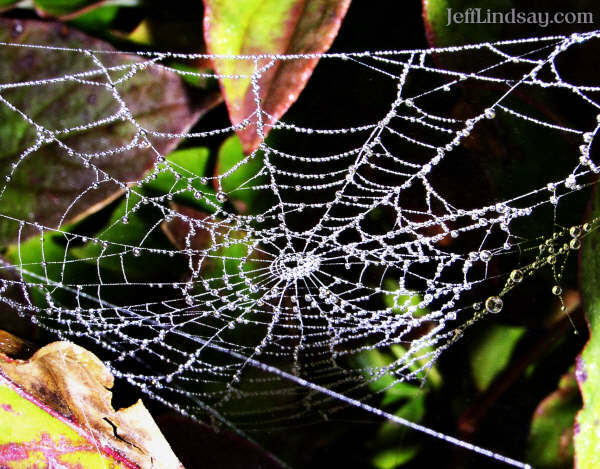 A spider web on a foggy morning in a bush next to our house. Thanks to my son Mark for spotting this. 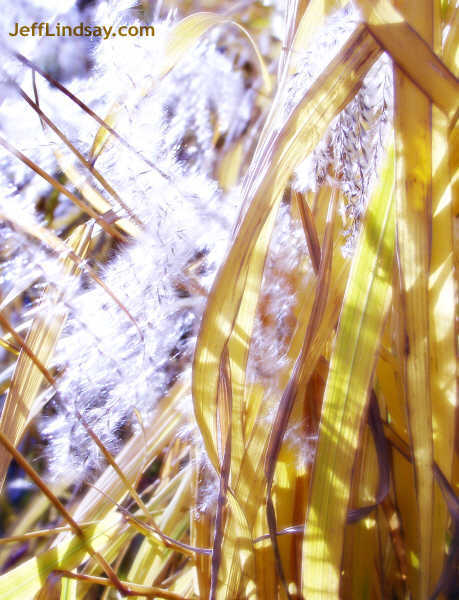 The enlargement shows beautiful pearls of moisture gathered on the web. Though there was plenty of light, the use of flash emphasized the web and make the background appear darker. 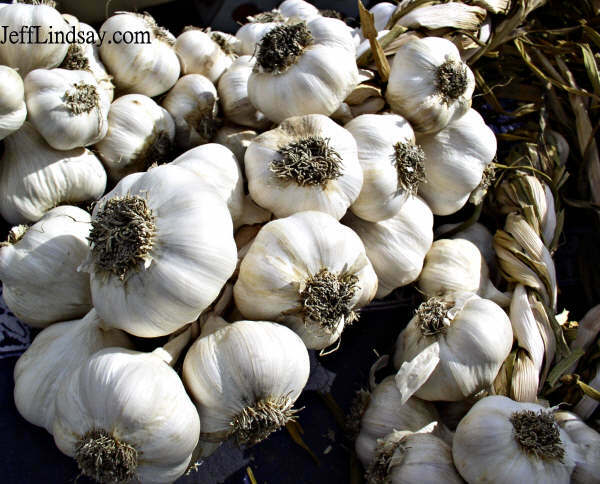 Garlic at a farmers' market in Appleton, Sept. 2004. 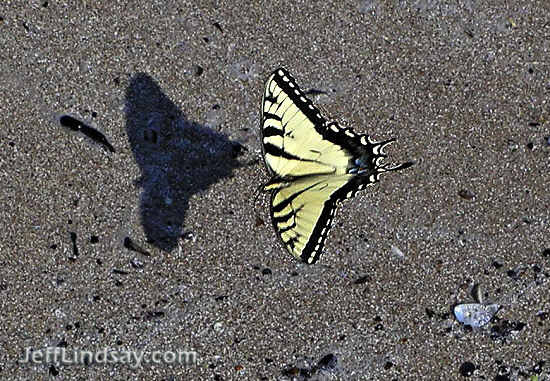 Butterfly flying over the shore of Lake Winnebago, Aug. 2005.